Philip Kingsley is the leading authority on hair loss and scalp care. Our Trichological Clinics are home to the world’s most renowned hair and scalp specialists. 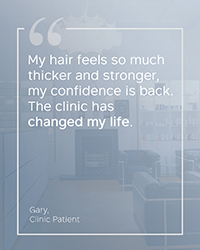 Our team of trichologists have expertise in treating all types of hair loss and scalp conditions, ranging from increased hair fall, reduced hair volume, dandruff, seborrheic eczema and psoriasis. We also offer bespoke products and services that treat cosmetic issues such as hair breakage, dryness, dullness, lack of body and unmanageability. The most common concern we treat in both men and women is hair loss. 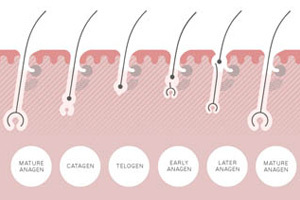 There are many types of hair loss, but you’re most likely to notice either reduced hair volume (androgenic thinning) or excessive daily hair fall (Telogen Effluvium). Hair loss is not solely related to ageing either; many of our clients are in their late teens, 20s and 30s. Other types of hair loss we help to manage include alopecia areata, frontal fibrosing alopecia, and hair loss resulting from chemotherapy. Where necessary, we will work with your medical practitioner to ensure you are receiving comprehensive care. Founder, Philip Kingsley, was a pioneer in recognising the importance of scalp health in relation to hair health. Our well-established clinical scalp treatments are therefore highly effective, thoroughly trialled, and comprehensive. Scalp conditions we commonly treat include dandruff, seborrhoeic dermatitis, psoriasis and pityriasis amiantacea. Often hair loss and scalp issues go hand-in-hand and we are well-equipped to address both problems. We take hair and scalp care seriously because when it comes down to it, it’s integral to your confidence and wellbeing. Booking a Trichological appointment helps us get right to the root of any hair or scalp care quandary you may have; no concern is too small or indeed, too large for Philip Kingsley. To ensure that you get the best care possible, we offer specialist blood test profiling and we work closely with a network of respected medical practitioners. We have over ten unique prescriptive hair loss treatment drops, as well as nutritional supplements, handmade scalp creams, scalp tonics, and shampoos and conditioners to support you. After an initial consultation, our Trichologists will create a thorough and bespoke treatment plan to take care of your specific concerns. DID YOU KNOW ABOUT OUR SIGNATURE 60-MINUTE HAIR SPA TREATMENT? When you need a little me time or your hair and scalp just need a little extra love, our Trichotherapists will put the shine and glory back into your crown. 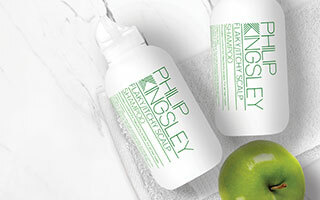 From a Scalp Mask and Elasticizer to a steam and massage, and then finally, a shampoo and condition, you’re in safe hands with Philip Kingsley. It’s all about the health of your hair and scalp so although our Trichotherapists can definitely help you blowdry your hair, they’re not stylists. 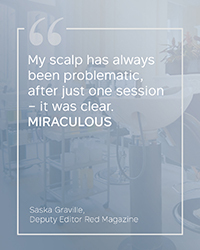 In our experience, most people love the feel-good sense of freedom from heavy styling after this re-invigorating treatment. It’s a bit like when you’ve been to a spa and the skin on your face feels fresh, healthy and make-up free. We were initially established in 1954 in a tiny one-room clinic on Dorset Street, London. Due to the high demand though, our flagship clinic opened in a larger space on Green Street in Mayfair in 1968 (our Fifth Avenue clinic in New York followed in 1977). 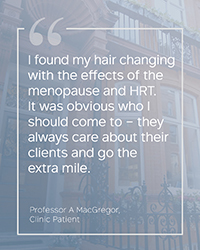 Covering four storeys of a classic red brick townhouse in the heart of Mayfair, our Green Street scalp and hair clinic is home to ten Trichologists with over 200 years of collective experience in hair and scalp care. These specialists work with a state of the art lab in London to ensure each of our products meet exceptional standards and can meet our specifications. Starting with a mere five basic products, our clinic range has grown to over 50 formulations, as well as bespoke hair loss treatments. 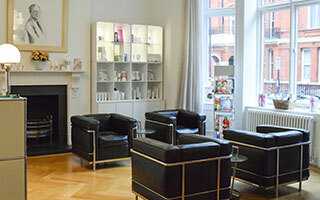 Our Trichological clinics are the most well-established hair and scalp treatment centres in the world. We look forward to giving you a warm welcome at our dedicated Trichology treatment rooms where we carry out bespoke hair and scalp treatments, as well as relaxing and strengthening Hair Spa Treatments, in a friendly and intimate setting. or, Click to read about our New York Clinic here.